General lighting is ready to undergo a fundamental transition. Where highly diverse lamp types provided decades of reliable service, LEDs, their associated electronics and all the blessings accompanying these electronics are now entering our lives at our places of work, in public spaces and at home. Light is also being intermeshed with the Internet of Things. Much can already be done today and is feasible, but not everything that’s possible is actually sensible. When using the new technologies it makes sense to contribute to protecting resources, saving energy and improving levels of practical utility and cost efficiency. The transformation to LED technology brings with it much potential. This applies especially to technical applications in which much energy is usually consumed and where high demands are made concerning robustness, reliability and the fulfilment of specific lighting tasks. 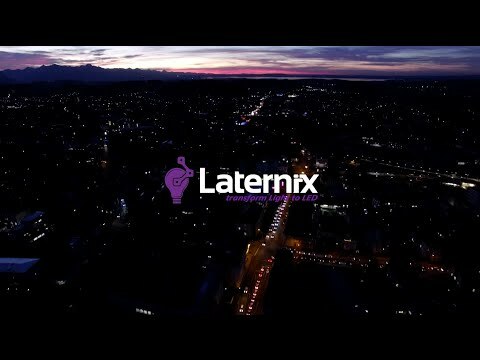 Laternix aims to make a significant contribution to the transformation of technical lighting to LED technology and to optimise energy savings potential. We aim to achieve this with solutions that make sense because they increase levels of utilisation and are simply economic. Michael Härtl has worked for over 20 years in the lighting industry. Before founding Laternix GmbH & Co. KG in summer 2013 he held the position of Head of Development in the executive management of a leading luminaire manufacturer, and significantly drove forward the transformation to LED technology in this position. Härtl has initiated many highly successful product innovations and is seen in the lighting sector as an acknowledged expert for technology and the market. As a new company in the market, we focus on application fields that are less interesting for the ‚large players‘ in the lighting industry. A focus is placed on the development, industrialisation and marketing of innovative products for the energetic refurbishing of outdoor luminaires by upgrading these to LED technology. We also develop and produce individualised solutions for upgrading high quality existing indoor luminaires such as downlights, spotlights, floodlights and stage projectors equipped with HIT or QT lamps, for which suitable replacement LED light sources are not available. We see ourselves not only as a manufacturer and provider of series components and assemblies, but also as a partner for the common planning and implementation of project-specific or customer-specific solutions. Our customers include towns and cities, local councils, energy providers, electrical installers and planning offices. As an OEM we also supply luminaire producers with individualised assemblies and components from our wide technology platform. At our business premises in Traunstein, Upper Bavaria, Germany our LEDiKIT® products are assembled to order by highly qualified and committed employees in lean flow assembly lines. Manufacture of the integrated electronic assemblies takes place in close cooperation with a renowned EMS partner specialised in LED lighting electronics with ENEC certification, also located in Traunstein. The consistent modular system that our product platforms are based upon enables us to configure and supply goods rapidly and flexibly according to the commissioned specification. Product quality has top priority with us – no unit leaves our production facilities without previous testing. Although an increasing number of providers are active in the niche market of LED upgrading, we make the decisive difference. This is because we bring together extensive application expertise and a wide range of development and technology know-how with inventiveness and professionalism regarding industrial implementation – and always with the aim of providing customers with maximum benefits for their application. Our flexibility and rapidity also with small quantities enables us to respond ideally to the individual requirements of customers, and our low price positioning unburdened with the overhead costs of large management structures makes us different from established, large providers. We also differ in most essential respects from the growing group of ‚energy-saving providers‘, mostly resellers of imported commodity goods, by our application expertise and the long-term orientation and reliability of our business model. As enthusiastic developers of technology, we also have respect for inventors and amateur constructors that often offer clever solutions. We differ from these in our industrially-oriented approach as a ‚one-stop shopping partner‘ for relevant needs, with a wide product spectrum and cross-regional sales orientation. We would welcome the opportunity to work with you and prove what we are capable of!